There was a delay on delivery due to a shipment not arriving but Finerfilters kept me informed of the situation and the items arrived within a reasonable time. Arrived quickly. Can’t tell difference between these and Brita. Very impressed by the quality. 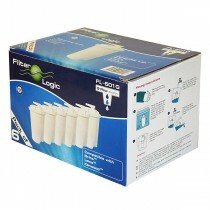 The Classic FL.601, is a good substitute for the original Brita filters.Its difference being only the top. 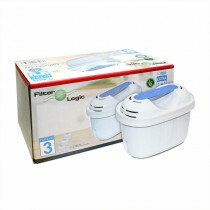 A very good product,and very good value. The supplier namely,Finerfilters are very easy to deal with and their customer service is second to none.One can actually speak to an adviser not a machine.Thank you. Alan. Half the price of the Brita Classic filters, very prompt despatch and delivery, and do NOT leave the nasty black residue that I had seen with the Brita originals. Very happy with their performance to date. Would not hesitate to buy again. I.ve been using these filters for three years and find them excellent. Every bit as good as the Brita ones I had been using but half the price. And, top class service too!